I did the Fargo Half Marathon about a month ago. Nothing really to report other than it was AMAZING! Seriously. If you're running 50 states - THIS needs to be your North Dakota race. No detail for this race was overlooked. The communication was great. The swag was awesome. The race course had amazing volunteers and was FLAT FLAT FLAT! Sure, it was a little tough to get to Fargo, but I had an awesome travel companion (Hi Janet! ), and we had a blast! Plus- the race freakin' had MIKE REILLY as a guest speaker! From Ironman!! They also had Dave McGillivray, who is the RD for the Boston Marathon and is comparably awesome, but being the tri geek I am, I freaked out a bit more about Mike. Oh - and because they know that most people don't know what to do in Fargo after the race, they scheduled a Pub Crawl afterwards where you received a matching medal! I tell you - these Fargo people know how to throw a race! Here are some pics. GO DO IT! The matching pub crawl medal and stein. 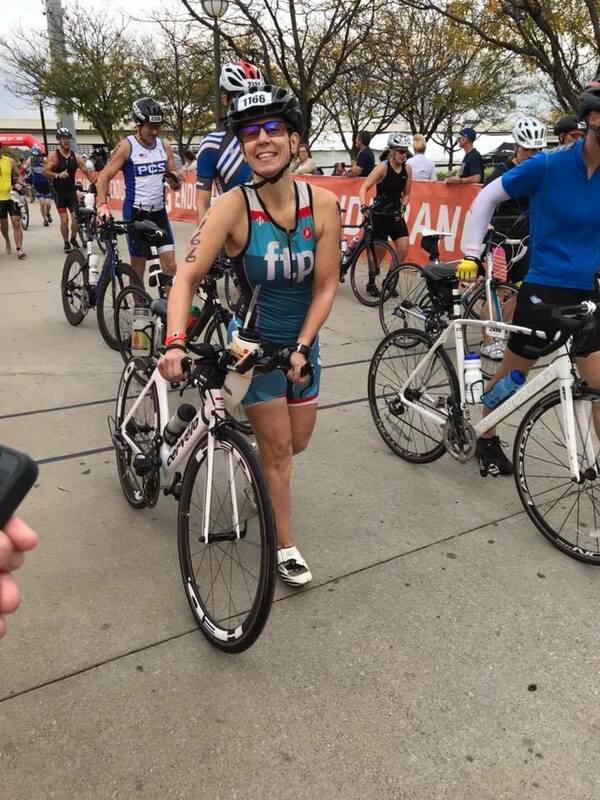 I repeat- if you can, DO THIS RACE! Preferably with friends. It's awesome. Thanks, Fargo! I am WAY behind on posts, but I've done two really cool races within the past month that you should know about. 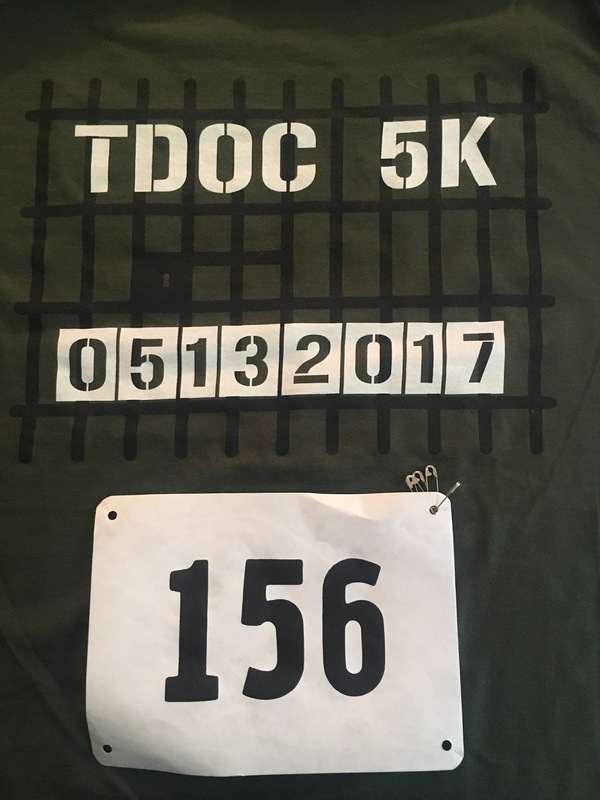 The first one was the TDOC 5k. Why was this 5k so special? 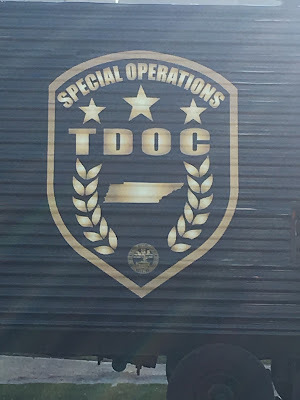 Because TDOC stands for Tennessee Department of Corrections. And we ran at a prison. Just not just ANY prison, but the historic Tennessee State Prison that has been featured in many movies, including The Green Mile. This place has been closed for years because it wasn't fit for human habitation. 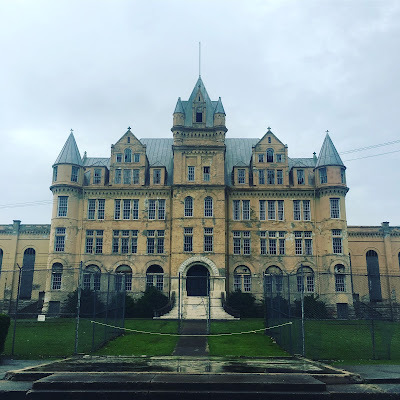 So, it's not only a prison, but an abandoned prison. Kinda creepy, but cool. There isn't a whole lot to report about the race, as it was only a 5k, but the experience as a whole was really neat. 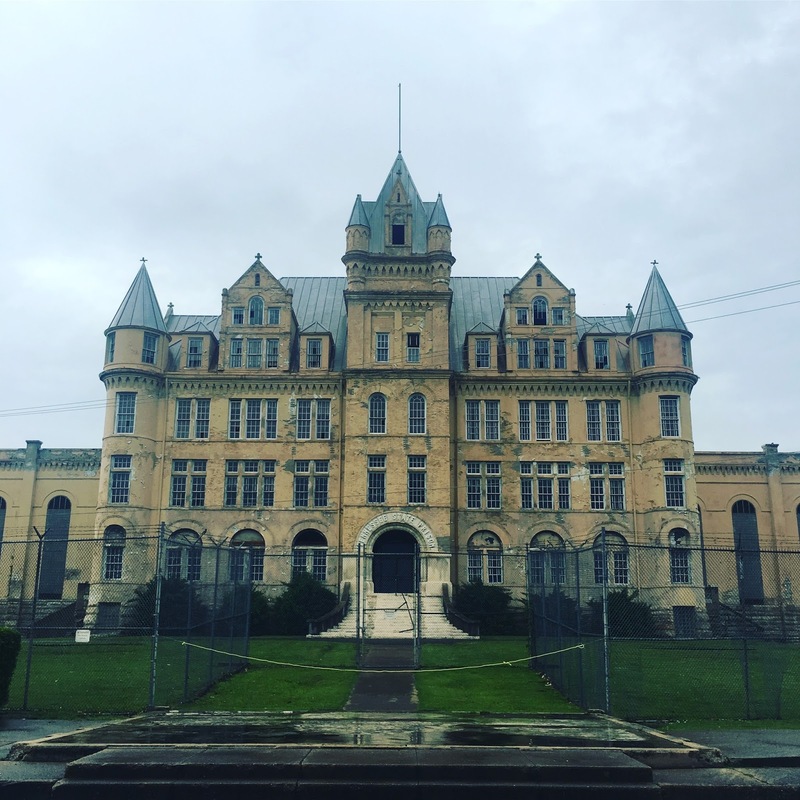 I picked up my packet the night before when it was rainy, which really gave the prison an ominous vibe. We couldn't go in - it is condemned after all. But I was able to take some photos. You can immediately see why so many movies and shows have used this site for their projects. The building is beautiful. Built in 1898, it was in use until 1992. 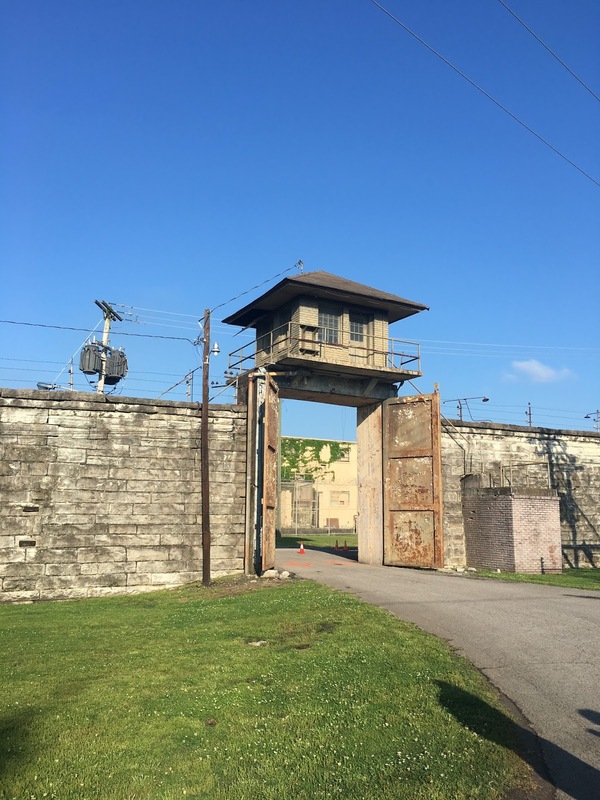 It had cells for 800 prisoners, but had over 1,400 admitted the first day, so it was overcrowded from the start. Anyway, getting back to the race, the next day we met up with some friends and ran the 5k. It was pretty flat. NBD. 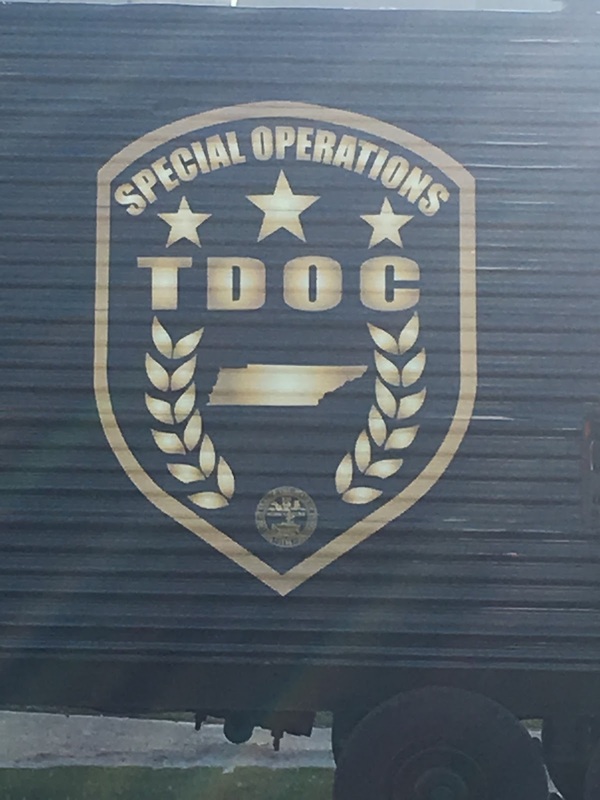 But afterwards, TDOC gave a walking tour of the grounds and told us a bit of the history of the prison. 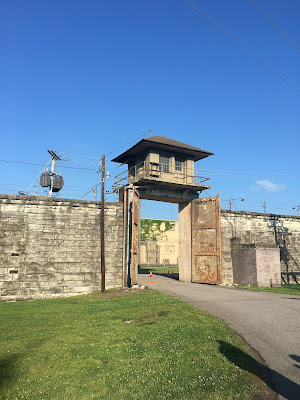 Our guide was a former guard who worked at the prison when it was functioning. Really interesting. He was a guard during the Pork Chop Riots of 1975 when prisoners got mad because they were served bologna instead of pork chops. Seriously - you can read about it here. 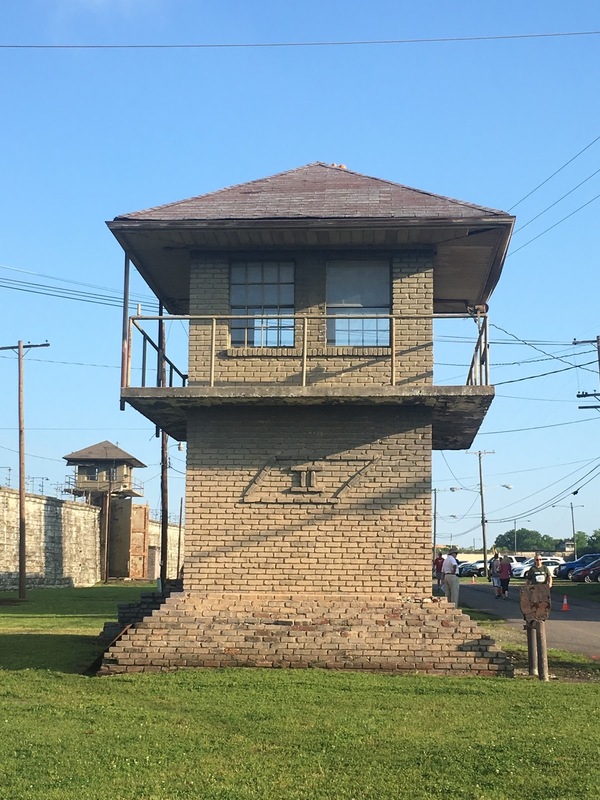 He also told us about Death Row and some of the infamous prisoners who were incarcerated there, including James Earl Ray. If you live in Nashville, you need to do this race. 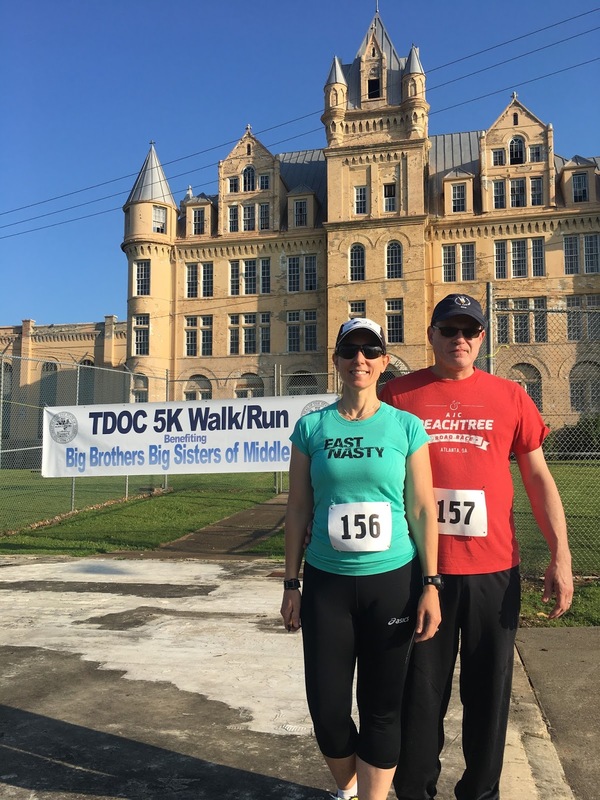 You get to run in a crazy cool place, learn a bit about Tennessee history AND help raise money for Big Brothers Big Sisters. I'm absolutely doing it next year. Next up: My recap of the Fargo Half Marathon! This is going to be a quick recap because it's the last day of the month and the Preds are about to play Game 2 in the Stanley Cup Final in about 45 minutes. 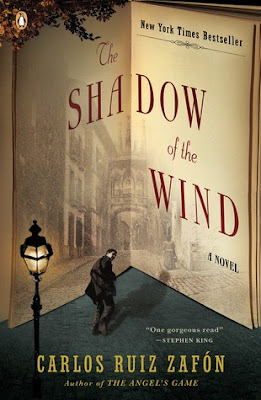 If these books were great, this review would take longer, but they were only so-so. Therefore, they are only going to receive a so-so review. Sticking with last month's theme of getting my books from the 100 Best Books of the Decade (So Far), I picked up #1 "Open City" by Teju Cole and #6 "Skippy Dies" Paul Murray by from my local library. After loving "Just Kids" (#2) last month, I had high expectations for these books. Maybe too high, though I don't think so. 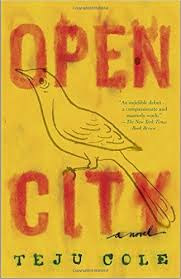 Let's start with "Open City." Mostly based in New York City, this novel is about Julius, a Nigerian immigrant who is studying psychiatry. While beautifully written, there isn't much of a "story" to this book. It's about Julius wandering around NYC and thinking about all of the mindless things one thinks about when wandering a city. Things like bedbugs and Alexander Hamilton. And that's pretty much the entire book. He'll go visit a friend every once in a while, and we learn a bit about his background, but for the most part, it's just him wandering and running into people. However, because the writing was so lovely, the book wasn't as bad as I'm probably making it out to be. I can understand how it was selected to be on this list. I wouldn't have placed it as #1, but I can see how it made it to the list. Now, the second book, I just don't get. "Skippy Dies" is reviewed as being really funny. 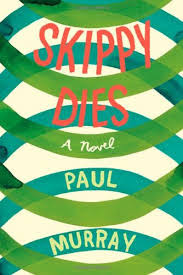 But as you can tell from the title - Skippy dies! And Skippy isn't a goldfish or anything. He's a boy at a boarding school who overdoses. (Not a spoiler - it's in the title and is told in the first chapter.) I get dark humor, but I just didn't find this book funny. Additionally, I didn't like any of the characters. If you have read any of my past reviews, I need to like at least one person in a book to be able to tolerate it. I didn't like "Gone Girl" or "The Goldfinch" for similar reasons. Plus, for heaven's sake, where was the editor for this book? It was 600 pages and could have been edited down by at least 200. It would have been a much better read (again like "The Goldfinch." Editing would have helped tremendously). However, I do have to say that I'm obviously in the minority here regarding every book I've mentioned in this post. If you look up any of them on Goodreads, they all have four-five star reviews. So, read them for yourself and let me know what you think! Oh - and GO PREDS!! I got this month’s book from the “100 Best Books of the Decade – So Far” list. Y’all know me. I’m a sucker for book lists and feel the need to read every book on them, especially if the list is “Best of” or “Greatest Ever.” Of course, being me, I typed up the list in Excel and then highlighted the books I have already read. I’m a little ashamed to admit that I have only read 14 of them. So, I immediately reserved a few books on the list at my library, and this was the first book that came in. 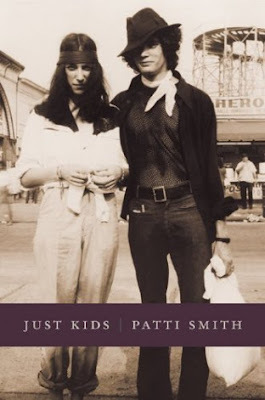 And that book is “Just Kids” by Patti Smith (the punk rock Patti Smith, not the 80’s band Scandal lead singer Patty Smyth. Huge difference). As usual, I didn’t do any kind of research on this book before I started it. Literally, all I knew was that Patti Smith wrote it. I assumed it has something to do with her roots in rock and roll, but I wasn’t sure. 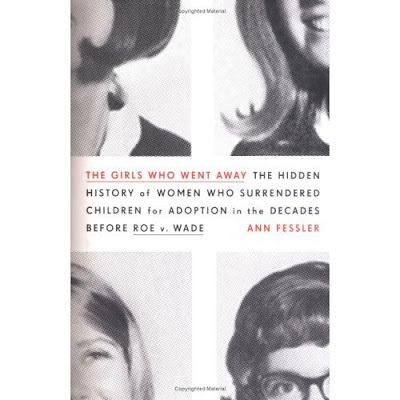 The book starts out with her childhood. You notice right away that Smith is a beautiful writer. Not in the superfluous, “I’m sticking lots of long words in this paragraph to describe this scene” style of writing that many authors have, but in a very tasteful, poetic way. Which makes sense because she started out a poet. The story really starts to take hold when Smith moves to New York, meets Robert, and starts living in the Chelsea Hotel. The hotel, and those who lived there, fascinated me, and I’m now obsessed with reading the everything ever written about the Chelsea Hotel. If you are unaware, the owner of the Chelsea Hotel would use an artist’s portfolio as a down payment for a room if he thought you had talent. As a result, the hotel became a haven for struggling artists, which attracted other artists. Smith mentioned walking into an accompanying restaurant and Janis Joplin and Jimi Hendrix were there. This is going to sound a little weird, but it just seemed like such a legitimate time to be an artist or musician. I guess I’m a little burnt out of the music industry right now with so much manufactured crap out there these days. Reading about musicians who turn down record deals because they care about their art was refreshing. Granted, they were poor as dirt, so I suppose you have to take that into consideration. While the struggle for Patti and Robert to make it as artists is what moves the book forward, the heart of the story is their relationship. You need to read the book to truly appreciate the depth of their connection. And I highly recommend you do, especially if you have an interest rock, photography and the arts in the late 1960's, but also because Smith’s writing is so damn beautiful you’ll want to cry. What? What's this? 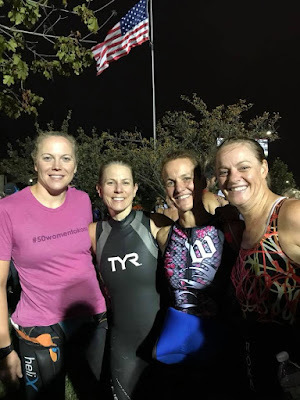 A race recap? Yes, I know. It's been a while. While I've raced one or two smaller races since the NYC marathon, this is the first one that has been anything longer than six miles (and that six-miler about killed me). I have no excuse. Life has been busy, and I haven't been training. But lo and behold, I found out that I had conference in DC and I don't have Maryland crossed off my 50-state half-marathon list yet, so I signed up for the Columbia Half Marathon. 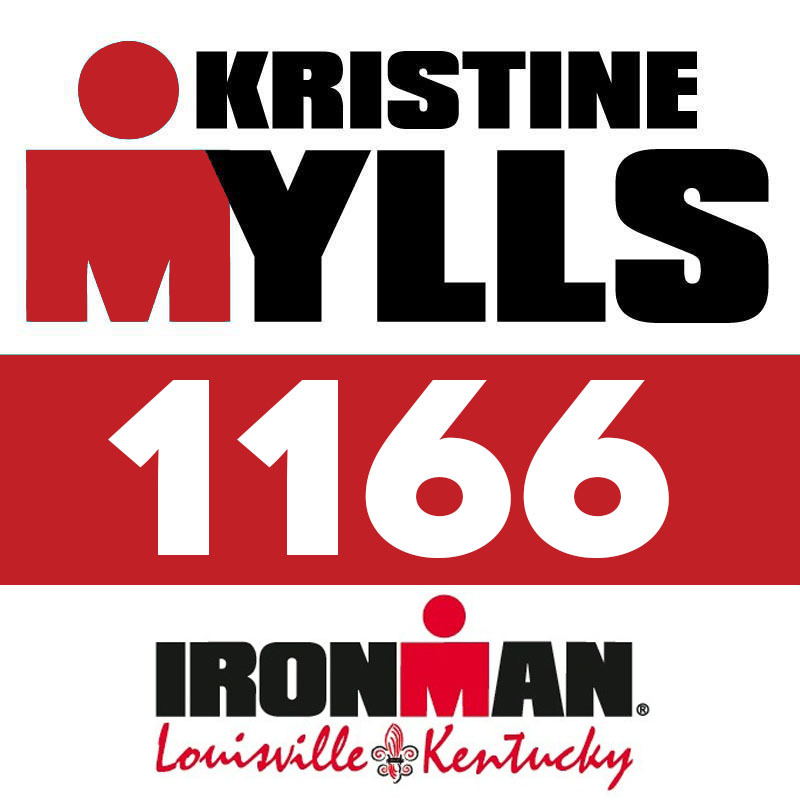 I wasn't exactly sure how stupid this was because it's been a long time since I have done a race unprepared, but I figured I'd give it a go. The race started at 8:15, and Columbia is about an hour from my parent's house in Northern Virginia, where I was staying over the weekend. I left the house at 6:00, in case I got lost or hit traffic. You never know what can happen when you're in the DC area. Fortunately, I got there at 7:00, and was able to park and check in without any issues. The race started right next to the Columbia Mall, and google didn't have any issues finding the start line. However, checking in was when I received my first bit of bad news. I spoke to a man who had run the race before and stated about the course: "It's not bad the first half - only rolling hills. It's the second half that has the steep hills. But you can walk those. Everyone does." Umm - what? And yes, I know this course elevation is widely available on the race site, but who has time to look at that? I spent the next hour killing time in my car, and debating on how many layers to wear. We had a break from the rain, thankfully, but it was 45 degrees and cloudy with a little wind. But it was supposed to clear up and be 50 and sunny during the race. Not a huge difference if you're a spectator, but five degrees and sun makes a world a difference when you're running. I went with the two-layer, long sleeve over the short sleeve combo and was feeling good about my decision until 8:14 when we had a break in the clouds and the sun can shining through. Oh well, too late to run back to the car to drop of the extra shirt now. The gun went off and we started to run. As I expected, we hit a hill immediately. Nothing too steep, but it went on a while. After a short recovery, we hit another hill. And then another. Again, most of them weren't terrible, but they grinded on for what seemed like forever. I was really wishing I hadn't spend the little training I HAD done on the treadmill. The course went on like this for most of the first six miles when we finally had a nice long downhill. Problem for me is that it was TOO steep (I'm a horrible descender), so I didn't really make up any time there. Others were flying by me, so I should probably work on this skill! We meandered through the neighborhoods of Columbia. It was a nice course with many of the neighbors coming out of their homes to cheer. That was fun. We did have one stretch that was kind of on a highway, but the police and volunteers were out in full-force, so we didn't have any issues with traffic. Seriously, this was one of the best-supported races I have been to. They did a great job. I was OK physically until about mile eight. I figured this was when the wheels would start to fall of, and they did. The second half of the course was harder not because of the steepness of the hills ( I actually think they were about the same as the first half), but you were just so tired and beat down that the hills felt harder. And yes, I had a to walk more than I would have liked. Stupid hills. The course was mostly a circle, with us returning on the main road back to the starting line. This was great because, other than one small hill a half-mile out (which was mean), we mainly had a descent back to the finish. HAZZAH! Not sure why this is hazy, but this is the race village. This is where I would normally post a photo of my finisher's medal, however, they didn't arrive in time for the race, so they are being mailed to us. Yes, that's kind of a major faux pax, however, this race was so well-run in every other aspect, that I can overlook that. If you're in Maryland next year in mid-April, you should check out this race. 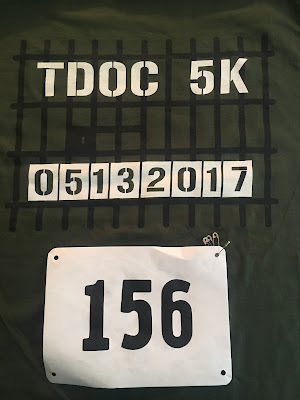 There is a 5k too! !